Although nowadays it seems that there is abundance of storage, online or offline, for negligible cost, storing your valuable data for the long haul requires some careful consideration. When this possibility sinks in, you realize you have to take extra measures to ensure that the longevity of your data is secured. #1 – Have multiple storage solutions for the same data. It is easy to fall into habit of distributing content across many devices or online services, categorizing them for different purposes, but every device has the potential to fail, and every online service has the potential of suffering a catastrophic failure or a hack. If possible, have at least two offline storage devices at different physical locations, in addition to syncing your content to an online drive. #2 – Mechanical storage drives (HDD) still have the best price-to-storage ratio, but this technology is more prone to error than Solid State Drives (SSDs) due to moving mechanical parts. To counter that, buy mechanical drives with at least 5-year warranty, and use them only for storage, not for running software and regular work. This way you will drastically increase their longevity. Additionally, look up the failure rate for storage drives. HGST and Western Digital have a proven track record for reliability, and you can always opt for their more reliable series of disks. Look up their MTBF value under ‘specifications’ – Mean Time Before Failure. When it comes to SSD solutions, Samsung and Intel are the most reliable manufacturers, but SSDs are still inordinately expensive compared to conventional HDDs. Only buy them if you want portability and don’t have much data to store. 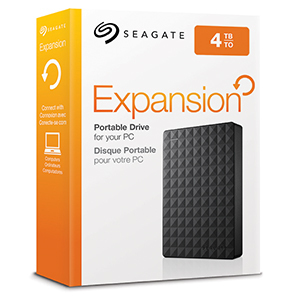 #3 – The larger the drive, the lower the price will be per GB. Just like with food items. You may think that you have enough space now, but that will fill up before you know it. Always plan for the future. In the last decade, the commercial storage capacity increase has slowed down significantly due to physical limitations of the current technology, so don’t expect to buy a much cheaper drive with greatly increased capacity next year. There are many promising storage technologies in the works, but none of them are yet commercially available. And some of them have been rumored for years now. With that being said, you never know what might pop up in some research lab, so keep yourself informed yearly on the best, most cost-effective, and reliable storage solutions. The privacy concerns have not yet been proven to be warranted. Obviously, such breaches would ruin the reputation and credibility of the company, so they take more security measures than any single person is capable of doing for themselves. Even the most basic, free online storage plan will be equivalent to having a single physical HDD. Companies that offer you these online storage and sharing services have server-grade hardware, special security measures, fireproofing, specially designed buildings and climate control, backup power, redundancy systems, etc. All the things that only a multi-millionaire would be able to afford. It would be folly to not take advantage of them. Another benefit of using online storage services is that they are extremely user-friendly and ultimately portable, as you fetch and send all the data without the need to carry anything on your person. And finally, nothing prevents you from having an account with each of them, which would effectively get you over 20GB of free data storage, at least! 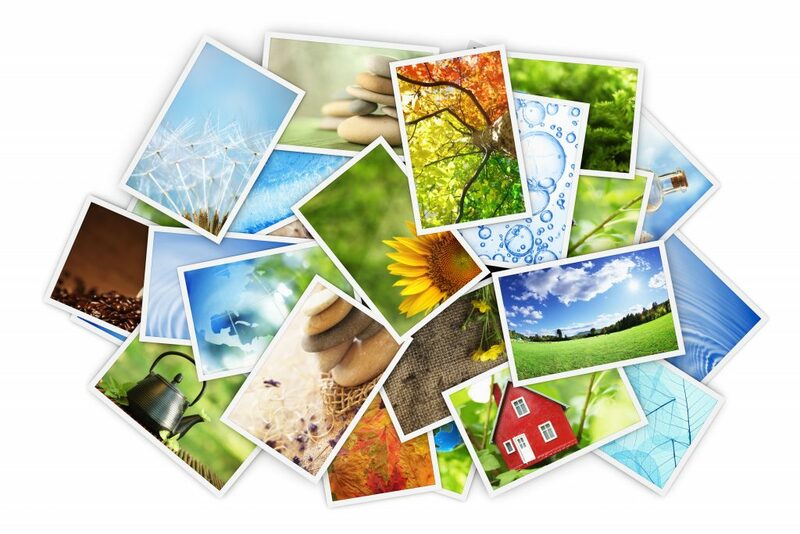 To illustrate, 20GB of storage would be sufficient for storing up to 40,000 high resolution photographs. On a final note, if you have inordinate amount of data to store on a regular basis, or a huge collection of movies and photos that needs to be easily accessible to your entire home for everyone to use at any time, then a NAS would be the most cost effective solution. NAS stands for Network Attached Storage – its appearance is reminiscent of a mini-PC or a gaming console like XBOX or Playstation, but in can vary in size greatly depending on how many drives it can hold. In short, it is a dedicated chassis for holding drives, be they HDD or SDD, and through Ethernet or WiFi anyone can access the data on them. Of course, the customization options with NAS are wide: you can set the access privileges in a varying degree, so that data can only be read, not written, thus preventing anyone but an admin to have the ability to modify or delete the data. Additionally, you can set passwords for each folder, or for the entire network. Furthermore, modern NAS devices have no compatibility issues whatsoever. They will work with Windows, macOS or Linux, and of course you can access them via your smartphone app as well. For when you cannot rely on your online storage services due to bad connection, or data traffic cap, it would be wise to get a portable hard drive. HDD portables are now cheaper than ever, but do keep in mind that they are mechanical – meaning they have moving parts – so when they are active always make sure they are stationary and on a stable surface. Never move them or jerk them around when they are connected. With SSDs you can safely put such concerns out of your mind, as they have no moving parts while in operation. Of course, they are also much more expensive. One of the best value HDD portables comes from Seagate. The size of your average smartphone, this 1TB drive is capable of holding 250 DVDs, 320,000 digital photos, or up to 16,660 hours of music/audiobooks. Basically, you can have an entire library’s worth of content in your pocket. But that is just the bare-bones version; you can also choose the 2TB or 4TB version, and you would still be under $100 price range. It can connect through any computer or a gaming platform (XBOX, Playstation) via the fast USB 3.0 connection, but don’t worry, if you have an old computer with just USB 2.0 slots, it is backwards compatible. You will not need any drivers to set it up. Simply plug it in and Window operating system will automatically detect it as an additional drive on your computer. However, if you are using a Mac, you will have to reformat it in order to be recognized. Take notice that when you are reading reviews of electronic products online, you will always find catastrophic reviews. This is because out of millions of shipped products, some tiny percentage of them will have a factory error. And what will a buyer with such unfortunate but exceedingly rare error do? They will come on the internet to write a catastrophic review. Therefore, it is impossible to find a single such product, from any company, without appalling reviews. Don’t be disheartened by this, otherwise you will talk yourself out of buying anything. Instead, look for the total aggregate score of all the reviews. For when you need the maximum capacity, reliability, and portability, the Western Digital’s My Passport series of portable hard drives is your best option. When you look up failure rates for hard drives, WD regularly has one of the lowest one of all the manufacturers, and some series of their products even score better than that. Mind you, we are talking about very tiny percentages of failures among all manufacturers, but that still doesn’t mean that you will not be the ‘lucky’ one to get that 1 in 100 000 faulty drive. After all, that’s what the warranty is for, and the higher the warranty, the higher the indication of confidence in reliability of a manufacturer is. 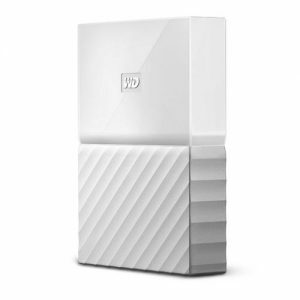 With the My Passport series, WD offers a 3-year warranty, but if you intend to use it only for storage instead of regular work, you can safely double that number at a minimum. As it is already expected, the 4TB My Passport can connect through the USB 3.0 for fast data throughput, but it is backwards compatible with USB 2.0. Just like with the Seagate’s portable, it doesn’t require any installation, as all the Windows versions will automatically recognize it as an added drive. If you are using Mac OS, you will have to format it first. A pleasant surprise you don’t see very often with portable drives is that you can choose My Passport from a wide selection of colors. Once you have secured your data on a reliable drive, you have to physically secure the drive itself. You can opt for two solutions, one that is portable and one that is more comprehensive but bulky. It can stand up to 1550° F (843° C) of heat for half an hour, and it can stand being submerged into water for at least 3 days. In addition, it serves as a deterrent from thieves with its tubular key lock. 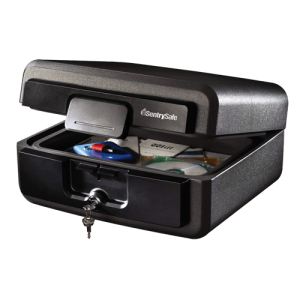 Reasonably priced, SentrySafe is small price to pay for saving everything you consider to be too valuable to lose. We all carry cases for our tablets, laptops, drives, and smartphones…but wouldn’t it make more sense if that bag/case would serve an additional purpose? COLCASE thought so too with its fireproof, highly portable bag made out of fire retardant fiberglass. 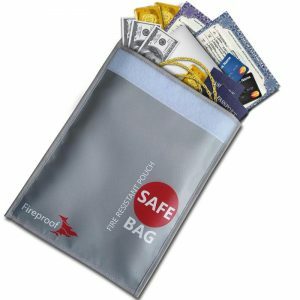 Perfect for extra protection of wallets, documents, drives, smartphones and tablets. And not only can it stand up to fire and heat at 1000 ℉(550 ℃), it is also highly water resistant. For a price that low, it no longer makes sense to use any other bag for your valuables, even if you don’t expect to find yourself in such a situation that you would ever need one. These options really are the best way to store photos for the long term. Many things in life can be replaced, but memories cannot. Make sure your photos are protected for future generations to enjoy.